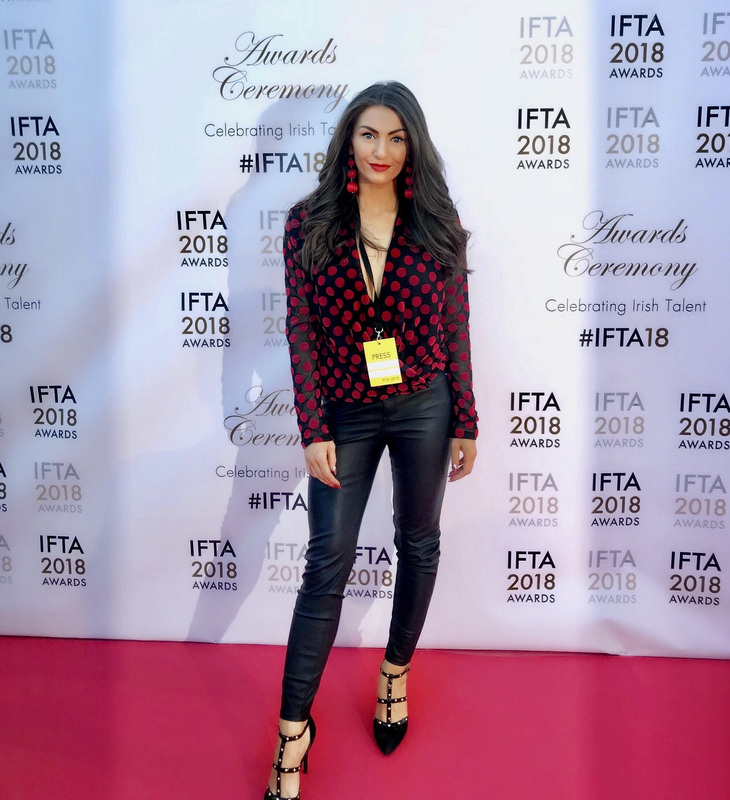 Below are some of the interviews I conducted on the IFTAs red carpet this year. I particularly enjoyed having a chat with Gabriel Byrne. He had a very soulful presence on the red carpet before he received the Lifetime Achievement award, which was presented to him by President Michael D Higgins. A very interesting man even before he got in to acting, he discussed joining the priesthood before he reached his teens and how he is ‘unashamedly and unapologetically pro choice’ in relation to the upcoming abortion referendum. His father, like my grandfather, was employed in the Guinness factory and Gabriel was visibly moved contemplating how his father ‘a simple working class man’ would feel seeing his son being given such a grand honour. His dad thought ‘radio was the height of human achievement’ so I can only hazard a guess that he would be immeasurably proud of all Gabriel has accomplished. I also enjoyed conversations with Barry Keoghan, Catriona Balfe, Victoria Smurfit and a host of other Irish stars of the silver screen.